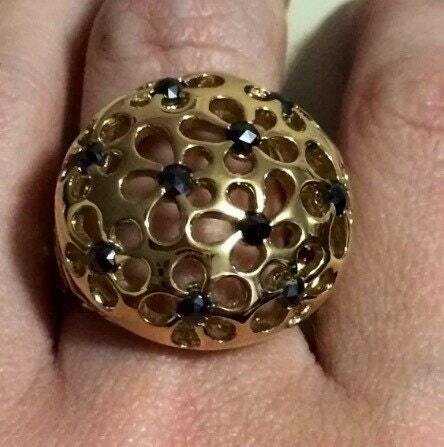 14K Vermeil 0.80ctw Round Black Diamond Flower Cut-out Dome Ring. 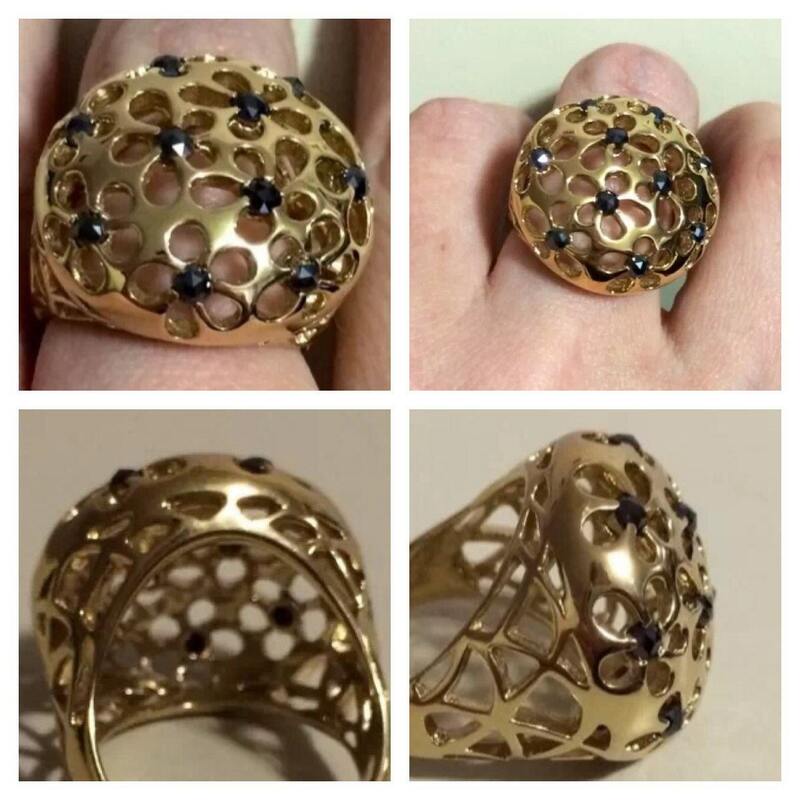 Solid Heavy ring. 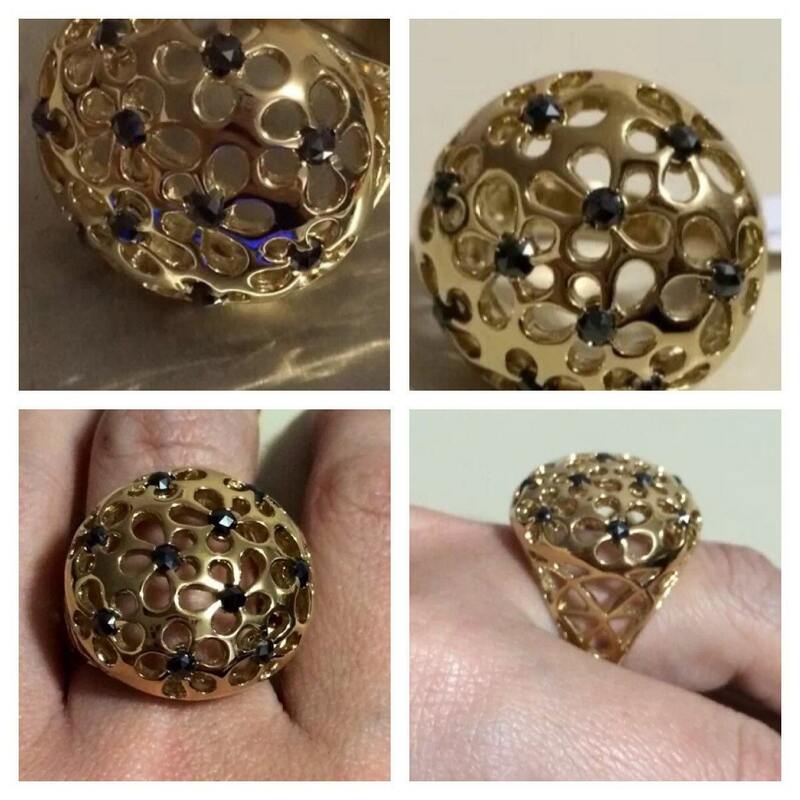 A stunning and unique take on the flower ring! 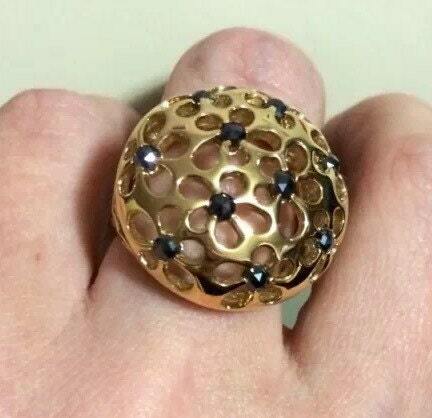 Crafted from 14K yellow vermeil over sterling silver, this dome ring showcases a flower cut-out design accented by ten round full cut 2.75mm black diamonds in prong settings, while the shank complements with additional cut-out designs. This bold piece is sure to make a statement! The total diamond weight is approximately 0.80ct. 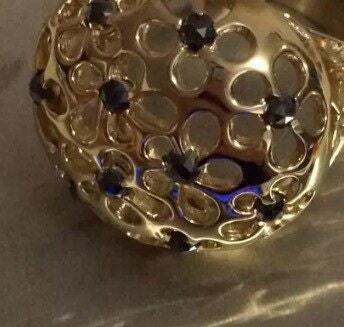 The ring measures 1"L x 1"W x 7/16"H.
All weights pertaining to gemstones, including diamonds, are minimum weights. Draped in Golden Lace. 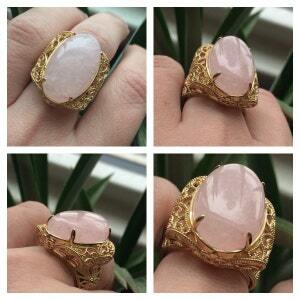 25 x 15mm Oval Morganite Beaded Filigree 14k Vermiel Sterling Silver Ring. 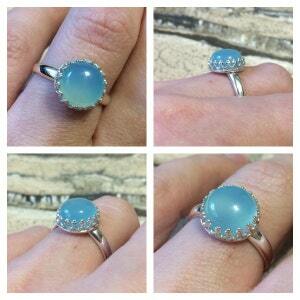 6.5ct 10mm cabochon Cut Natural Blue Calcedony Crown Scrollwork Ring. 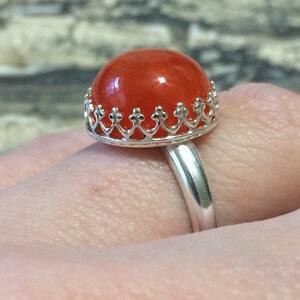 8ct 12mm cabochon Cut Natural Carnelian Crown Scrollwork Ring. Make a Statement !! 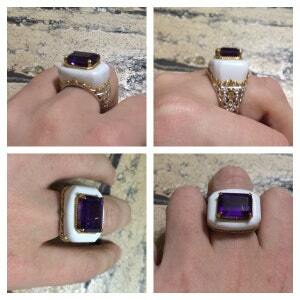 7.57ctw Emerald Cut Tanzanian Amethyst & White Onyx Scrollwork Ring.